Heart bypass surgery creates a new route, called a bypass, for blood and oxygen to go around a blockage to reach your heart. The surgery is used to treat coronary heart disease. This articles discusses what you need to do to care for yourself when you leave the hospital. Your surgeon took a vein or artery from another part of your body to create a detour, or bypass, around an artery that was blocked and could not bring enough blood to your heart. Your surgery was done through an incision (cut) in your chest. If the surgeon went through your breastbone, the surgeon repaired it with wire and a metal plate, and your skin was closed with stitches. You also had an incision made in your leg or arm, where the vein was taken to be used for the bypass. Have some shortness of breath. This may be worse if you also have lung problems. Some people may use oxygen when they go home. 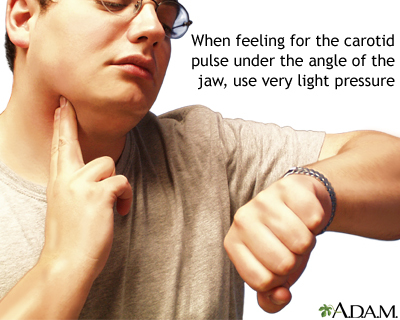 Learn how to check your pulse, and check it every day. DO NOT stop taking any medicine without first talking with your provider. Your provider may recommend antiplatelet (blood-thinning) drugs such as aspirin, clopidogrel (Plavix), prasugrel (Effient), or ticagrelor (Brilinta) to help keep your artery graft open. Know how to respond to angina symptoms. DO NOT let anyone pull on your arms for any reason -- for instance, if they are helping you move around or get out of bed. DO NOT lift anything heavier than 5 to 7 pounds (2 to 3 kilograms). Brushing your teeth is OK, but DO NOT do other activities that keep your arms above your shoulders for any period of time. 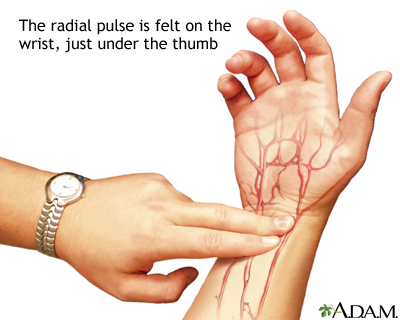 Keep your arms close to your sides when you are using them to get out of bed or a chair. You may bend forward to tie your shoes. Always stop if you feel pulling on your breastbone. Your provider will tell you how to take care of your chest wound. You will likely be asked to clean your surgical cut every day with soap and water, and gently dry it. DO NOT use any creams, lotions, powders, or oils unless your provider tells you it is OK.
Keep your legs raised when sitting. Wear elastic TED hose for 2 to 3 weeks until the swelling goes away and you are more active. Your weight goes up by more than 2 pounds (1 kilogram) in a day for 2 days in a row.